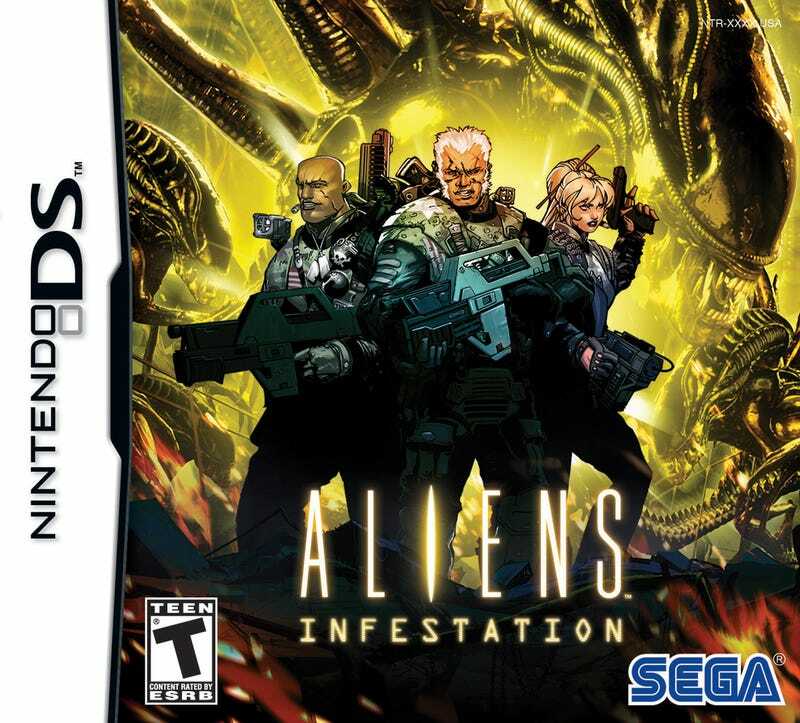 Popular comic artist Chris Bachalo breathes life into the 19 space marines doomed to die this September in Sega and WayForward's Aliens: Infestation for the Nintendo DS. We knew it was coming; now we know what it is. Developed in collaboration with Aliens: Colonial Marines developer Gearbox Software, Aliens: Infestation is a 2D side-scrolling shoot-em-up in which players can recruit 19 different marines and face them off against the alien hordes. They'll do battle in classic Alien series locations, including the Sulaco, the Derelict ship, and LV-426, upgrading their equipment and gathering collectibles, because there is nothing aliens hate more than tchotchkes. "In contrast to our other Aliens title in the works at the moment, Aliens: Infestation delivers a game that focuses more on exploration of the expanded universe," comments Gary Knight, Senior Vice President of Marketing, SEGA West. "WayForward really put all their passion into making Aliens: Infestation the definitive Aliens experience that you can fit in your pocket." WayForward have proven themselves time and time again in the 2D gaming space with games like Contra 4 and A Boy and His Blob. Combining that two dimensional talent with the art of the amazing Chris Bachalo (his run on Marvel's Generation X in particular was awe-inspiring) can only result in good things. Look for Aliens: Infestation to drop in September for the Nintendo DS.